Located at 941 and 951 Boylston St. in Boston’s Back Bay neighborhood, two adjoining Richardsonian Romanesque buildings were originally constructed to house the local police and fire stations. It was the first combination police and fire station in the city of Boston. Designated landmarks by the City of Boston, the eastern building still functions as a fire house, but the western building has been extensively altered on the interior and repurposed twice since the mid-1970s. City Architect Arthur H. Vinal designed the buildings in 1886 in the then popular style based on the work of Boston’s most celebrated architect, H. H. Richardson. 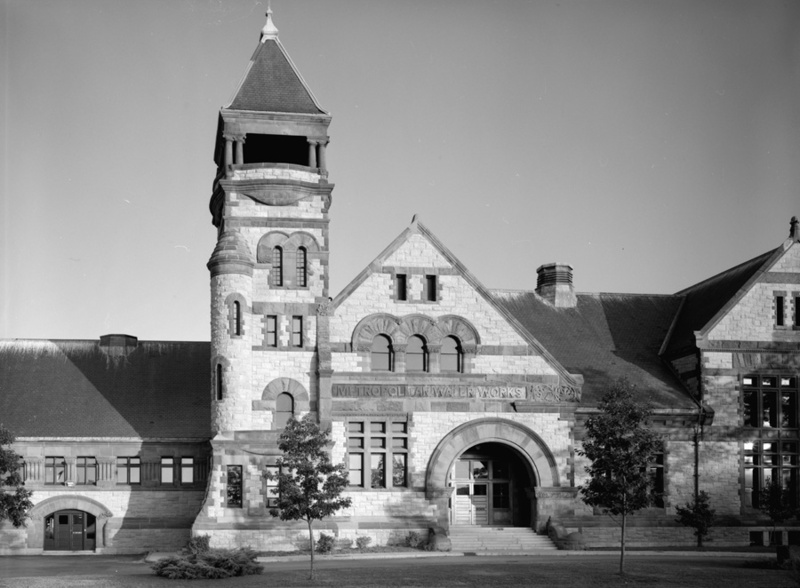 Vinal was a prolific architect who designed many buildings in the Richardsonian Romanesque style. His most celebrated design is the Chestnut Hill Pumping Station on Beacon Street in the Allston/Brighton neighborhood, completed in 1888. The Pumping Station is even more of a direct homage to Richardson, reminding one of the series of libraries Richardson designed late in his career. Police District 16 occupied the larger four story building at 951 which was noted as “the handsomest station house in America” in 1888, a year after its completion. By the early 1900s, the police needed additional space and a small building at 955 Boylston was constructed in the Classical Revival style. (It now houses Dillon’s Restaurant, named for a police captain who served here from 1920 until 1950). Both buildings continued to serve their original function until 1975, when District 16 was consolidated with another nearby police district. At that time, the four story building was completely gutted and renovated by Graham Gund Architects for use by the Institute of Contemporary Art. Galleries and other spaces were created around a centralized staircase. The Institute moved to larger quarters in 2007, and the building was acquired by the Boston Architectural College, which has its main building immediately to the north facing Newbury Street. The College spent $14 million to purchase and renovate the building, which opened in 2012. It was the first building added to its campus in 50 years. The Newbury and Boylston buildings are connected by way of a green alley sustainability project. The eastern building has always functioned as home to Engine Company 33 and Ladder Company 15. It is connected to the police station by a central bay with a large opening that led to shared stable yards behind the buildings. Two huge arched openings on the fire station accommodated the equipment including the first ladder truck in Boston to be equipped with a three-horse hitch, and the first turntable aerial truck. Plaques at the entrances memorialize four Boston firefighters killed in the line of duty who served out of the building: Cornelius J. Noonan (d. 1938), Richard F. Concannon (d. 1961), Richard B. Magee (d. 1972), and Stephen F. Minehan (d. 1994). A tall turret at the northeast corner of the building was designed so that the heavy canvas hoses could be hung to dry. Classic Richardsonian Romanesque features of the buildings include numerous arches over doors and windows, carved foliate decoration, heavy rusticated stone, and clusters of engaged columns between windows. Fire alarm box on Boylston Street; side of building visible at far right.